Gold IRA GuideGold China Prepared To Fight A Long and Lasting Trade War With the U.S.
China Prepared To Fight A Long and Lasting Trade War With the U.S. This past week you saw an ominous development in the trade war as it settled into a potentially long-term geopolitical dispute. U.S. President Trump continued to spread the message that America possesses the advantage in the deepening economic, diplomatic, and geopolitical rift. China responded through their official state media that they are prepared to suffer through the economic consequences for a “protracted war” if necessary. It means that you had better prepare your retirement portfolios for the economic and trade conflict to stretch into the longer-term. China claimed that it will unflinchingly sacrifice whatever shorter-term economic interests that they must, per the nationalist Global Times editorial from Sunday night. You had better start contemplating the top five gold coins for investors while the prices for IRA-approved gold are still reasonable. China Hits Back Against the U.S. While the U.S. and China were engaged in trading verbal jabs over whose fault the trade war actually was, the wheels in Beijing continue turning. They rolled out their own list of tariffs in an effort to retaliate for the American threat to erect $200 billion in new duties on Chinese imports. Emotions are running high on both sides, even as China's economy starts to show signs of strain. The Chinese juggernaut has slowed, their stocks have crashed, and the yuan currency is in significant decline. Even as the U.S. President was claiming that the country was holding the better hand in the early rounds of the trade war against China, the Chinese gritted their teeth and refused to surrender. Yet Trump was not conceding an inch either. The Chinese currency experienced a rally after the country's central bank took steps to increase the costs of siding against the yuan. The government was attempting to cushion yuan moves after it had suffered from a record number of weekly declines that saw the Chinese yuan nearing 7 yuan per dollar. China threw down their gauntlet with a significant and comprehensive list of duties. These will range from five percent on up to 25 percent on fully 5,207 different imports from the United States. This assumes that Washington makes good on its promise to levy tariffs on $200 billion in Chinese exports, according to the Ministry of Finance. When these are combined with the tariffs the Chinese already have in effect, the list includes nearly 6,000 different goods. Among these are soybeans, liquid natural gas, and other American products. The list encompasses over two-thirds of China's total imports from America. Still excluded from the list are larger ticket items like airplanes and higher technology goods like computer chips. China has trouble domestically producing these, so it has little choice. In other words, the Chinese will not blink first in the face of economic hardship from the ongoing trade tensions. At the same time, the U.S. stock market is only three weeks away from notching the impressive record of longest lasting bull market in its distinguished history. For the moment, U.S. President Donald Trump appears to have the significant advantage in the unfolding trade dispute. Rest assured, if the American equities' market had suffered a 25 percent drop, then President Trump would be under intense pressure to yield. China is a different story altogether. Analysts there are simply informing their Chinese clients that they need to get ready for a lengthy and “bumpy” trip as the conflict only expands. The huge advantage that China's President Xi Jinping has is that political pressure on him is practically non-existent. He enjoys the knowledge that the parliament of China recently amended the country's constitution so that presidential term limits are eliminated. This is a serious warning that you simply can not take for granted or dismiss. 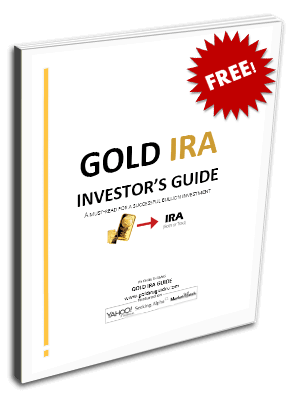 Gold makes sense in an IRA because it has the distinguished historical track record of thousands of years to back up its claims to be the world's ultimate safe-haven asset. The good news is that you can now store your physical IRA-approved precious metals in top offshore storage locations with the blessings of the IRS. Time to seriously consider gold IRA rules and regulations while you still can.